Despite all the pressure from the community CM still haven't figured out what made Grid 1 such a good game. The lobbies where always full of people chatting (not always good chat) but most of the time an OK chat where people actually came together. Everyone found their nische in the chat/lobbies and had great racing fun. Many of the persons I met in those lobbies I still game with on a daily/weekly basis. Some lost, some found along the way, but for me it was Grid starting all this up for me. Yes McRoss. The chat ingame was the real making of the game. The fact it continued the codey tradition with awesome graphics and game play, it enabled fans who loved the game to form clubs and challenge each other. We have a massive community world wide that probably never would have met were it not for the chat. I can't put into words the love and respect from hundreds of friends, some didn't make it this far, some very poorly, but the community and there friends make a difference. Im a fan of Grid, and have played all 3. For Grid 4,,make it extra special. Make it different, from the others, and yes, have the tracks etc, improved, but, why not have it, so we can build the car, engine, body n interior, then test it, and when its done, then race it? Designing the engine, and the body, would add a big boost to the game, and make it a lot more exciting and challenging. As a single/career player and GRID fan since 2008 a big part of GRID's appeal is its simplicity. Most of the suggested "improvements" I read about do not appeal to me at all. Add a few new tracks and cars, update the graphics, and GRID Legends is done. Of course if Codies actually did that they would get dinged by the critics for putting out the same old or being cheap or lazy or whatever. Screw the critics. I can´t wait for a sequel to GRID. I didn´t buy GRID 2 because of no interior cams in the cars. Then, on march 2014, I thought on switching from the competitive community of Gran Turismo to GRID one, but I finally stayed competing in GT6. Now that I have more time I would like to take seriously both GRID and GT sagas, and that´s why I want a new GRID for the new generation of consoles. I can´t wait for a new GRID game too. I really want a new track racer with all the wheel, ffb and physics improvements they made since DiRT Rally. Forget Grid, bring back Toca!!!!!!!!!!!! Forget Grid , Toca! Forza is here! Been playing the original GRID recently. It's interesting to compare this to everything else that's out there. For example, when I race PCars 1, it's hard enough just keeping the cars on the track, let alone racing others. The best races seem to come from the underpowered easier to handle cars like formula C. In GRID the handling model is complex enough to mean that it is not simple to master, but simple enough to allow enough overhead for the focus to be on racing rather than just keeping the car on the track. Most racing games seem to have the emphasis today on being as sim like as possible. Gameplay isn't something that is prioritised. To me there is a gap in the market. In many ways you want to build a game from the multiplayer experience first, rather than a racing game that has the mulitplayer hacked onto it as a development afterthought. 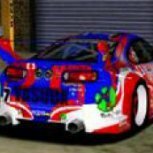 Communication between the players, making teams, race commentry/direction, they should be the focus rather than bigging up how tyre presssures act realistically or what effect toe has.Sure there is a player base there for sims, but there is also a player base for people who want to have fun races with real world cars. I think grida autosport/grid has got the formula right in terms of car and track content and handling. What it really needs is a massive amount of multiplayer features tacking onto it and having the mulitplayer experience made as robust as possible. Project Cars and Assetto Corsa have the sim areas covered, would say GT Sport has the sim-cade area covered but personally think they dropped the ball massively by excluding a career mode. I totally agree. Having played pcars 1 for 2 years I'd love to see another grid game..... so much fun. Theres definitely a gap in the market for a good simcade. Full sims are great but "oh so serious" lol. I thought grid autosport was spot on and wouldnt want many changes.... just some new tracks and cars. Seriously, try FM7 given CM's past history of releasing broken games promising fixes and reneging on that promise (Upgrades do absolutely NOTHING in GAS). I ain't holding my breath for Grid 4. Just look at the results on steam charts http://steamcharts.com/search/?q=grid CM's older games are played more than their current ones Why? Lack of progression in fact taking MASSIVE leaps backwards eg Dirt 4 less players on PC than Dirt Rally and even Dirt 3 has more players any time of day you care to look. CM used to be on my "must buy" list now they're on my "wouldn't touch it with a barge pole!" list. I understand where you’re coming from and why expectations might not be so high. I think with a lot of changes going on at CM over the last few years it would be wrong to discount the future of the Grid series based on the last title. The racing game market has become even more huge now and CM have a lot of competition, which surely isn’t a bad thing if it makes everyone up their game and push for better. Im on PS4 so sadly never played Forza, but if anything Grid could definitely fill that gap that’s missing with FM being a Microsoft exclusive. The luxury that the Grid titles have is that they aren’t tied to a release schedule (unlike the F1 Games), so I’m sure once the next Grid comes along it in theory should be well worth the wait. I’m definitely excited to see what the future brings. Sadly we thought the exact same thing before Grid 2. We expected a decent simcade and got a pure arcade drift to win NFS clone. CM then asked all their fans to undertake a survey and then chose to completely ignore it in it's entirety. We got the same thing with the joke that was Showdown compared to Dirt 3. They've done the exact same thing with Dirt 4. So you see they've done this same sort of thing with many other titles and it's a corporate decision if support will continue for a game.... Or am I mistaken on that??? Don’t get me wrong, not every game is perfect and not every developer makes the best decisions. When Grid 4 does eventually come out, and from looking at how many views this thread has had there must surely be a lot of people anticipating it, I do doubt it’ll be perfect right from release day as sadly not many games are. I do believe those in charge of the titles such as Lee Mather, Paul Coleman and now also Paul Rustchynsky are 100% passionate about making the best games they can, so maybe some of the odd decisions to abandon certain bugs in games come from beyond their control maybe? I'm honestly happy with dirt rally, grid autosport was my favorite racing game, but after years of waiting for the "new grid" and only getting the same rally game with new skins and modified physics I got tired. Project cars filled part of that wait, some bad physics but overall great game. Now the wait is over for me with Gran Turismo Sport, excellent physics and what I personally wanted the most, good online match making. I don't care about 'career' mode and AI, for me it's about breaking my own records (specially in Nurburgring) and racing against humans online. Time to unsubscribe from this forum and stop waiting for something that never got made in time and now it's too late if ever gets announced. Good bye, and thanks for all the good times more than 3 years back. Depends what people want from a certain game or series. Me personally, I didn’t find anything worthwhile in GT Sport, but then again I’m not much of an online player. PC2 I really do enjoy though, despite some major problems on release (PS4). where it has been a while since the last Grid game maybe the next one in the series should have a new name? Do not forget to vote. GRID 4 will be back ON PS4, Xbox One And PC. I'd prefer ToCA Race Driver 4 to be honest. With more soul and heart (and that crazy Scottish guy telling you facts about the cars, whilst telling models to climb off them!). What realistically are the chances that Codemasters will do another Grid/Toca game? If only Grid Autosport had been for next (now current) gen consoles, had pit stops, and had a more detailed interior-cam view instead of been all blurred out. I know there’s a lot of racing games released in the past year or two that offer players the experience of driving a varied selection of cars from various racing disciplines, but none seem to do it as well as Codemasters set out to do with Autosport in its more ‘career’-focussed approach. Not to mention that CM seem to always offer an experience that straddles the lines between simulation and arcade that makes their games a lot more fun than some other developers set out to do.